Just In Time For Summer Travel Season! 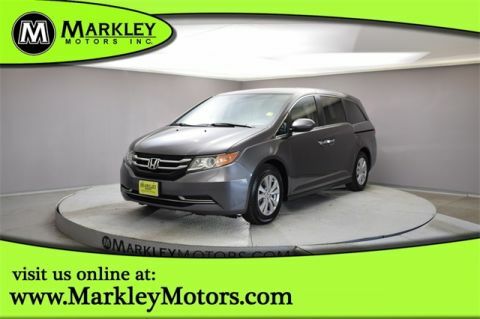 2016 Honda Odyssey EX-L - 1 Owner, Clean Carfax! Local CO vehicle serviced and traded back to Markley Honda! 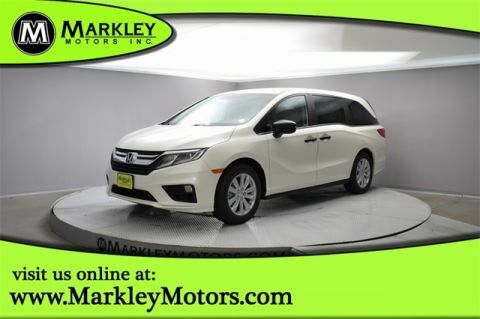 With only 43k Miles this Modern Steel Metallic Odyssey will provide you and your family with years of worry-free ownership! Come See it TODAY! 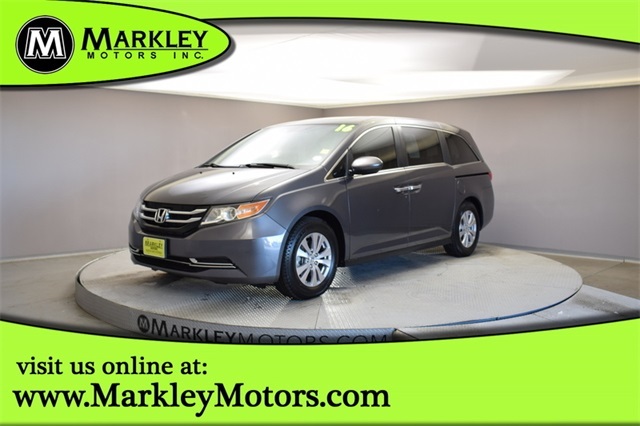 Beautiful in Modern Steel Metallic, our 2016 Honda Odyssey EX-L lets you pack up the family and hit the road for adventure! With a 3.5 Liter V6 producing 248hp and tied to a 6 Speed Automatic transmission, it scores 27mpg on the open road; better than all other minivans! Surprisingly fun to drive, it will impress you with its confident handling. After all, there's a reason this minivan wins awards year after year! The aerodynamic exterior design of our Odyssey EX-L adds style as well as function. Get behind the wheel and you may think you're in a luxury sedan! Designed with your busy family in mind, the interior features second-row sunshades and child-friendly power-sliding doors for quick school drop-offs. A multi-adjustable second-row seat and 60/40 split-folding third-row seat accommodate your growing family. Other amenities include a leather-wrapped steering wheel,heated leather front seats, auto-dimming rearview mirror, tri-zone automatic climate control, push button start, HomeLink, a center stack lower storage bin with cooler, and HondaLink featuring Aha compatibility. Now settle into your seat, crank up your favorite tunes on the audio touchscreen, put a movie on the rear entertainment system for the kids and get going! 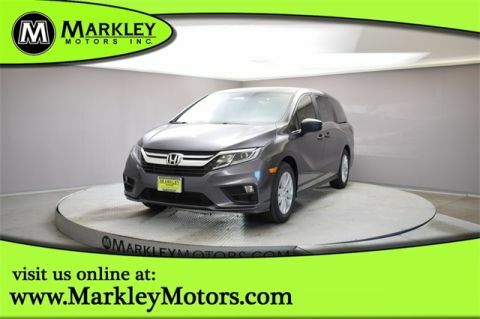 Our Odyssey is equipped with Honda Lane Watch, forward collision warning, lane departure warning, anti-lock disc brakes, stability/traction control, backup camera, airbags that cover all three rows to protect your family. Print this page and call us Now... We Know You Will Enjoy Your Test Drive Towards Ownership! We Value You As A Customer And Look Forward To Showing You What The MARKLEY DIFFERENCE Is All About. We've Been In Business For 82 Years For A Reason! Call Us Now At MARKLEY MOTORS At 1-970-226-2213. USED VEHICLES MAY BE SUBJECT TO UNREPAIRED MANUFACTURER RECALLS. PLEASE CONTACT THE MANUFACTURER OR DEALER FOR THAT LINE MAKE FOR RECALL ASSISTANCE/QUESTIONS OR CHECK THE NATIONAL HIGHWAY TRAFFIC SAFETY ADMINISTRATION WEBSITE FOR CURRENT RECALL INFORMAITON BEFORE PURCHASING.